Soft foam mounts for your lavalier. Designed with flat sides so they can be stuck directly to skin or costume. 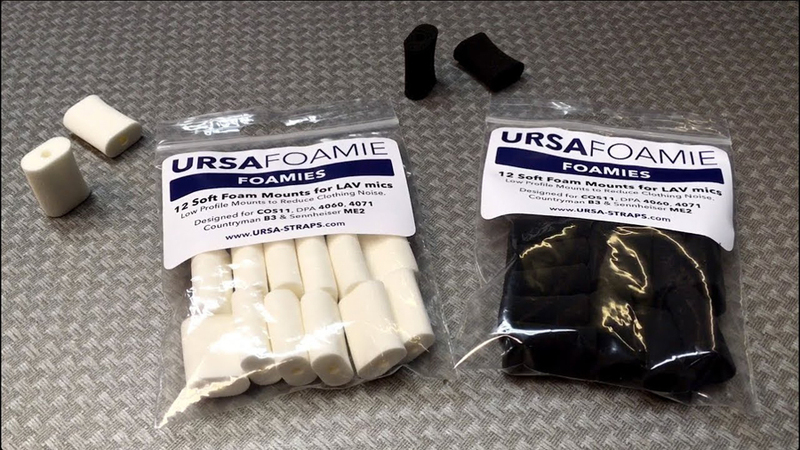 The foam provides a soft, quiet buffer to reduce clothing noise. Made from the highest quality makeup sponge.